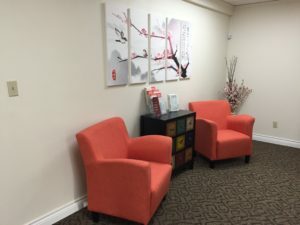 Generations Acupuncture is a Veteran and Woman owned and operated acupuncture, Chinese herbs, and reiki clinic located in Colorado Springs. Our clinic consists of three treatment rooms. Two of them are private treatment rooms and one is a family treatment room were up to 3 can be treated at the same time. We are located on the second floor, west wing, in a building with plenty of free parking space. We have handicap access and your children are always welcome to come with you even if they are not getting a treatment. 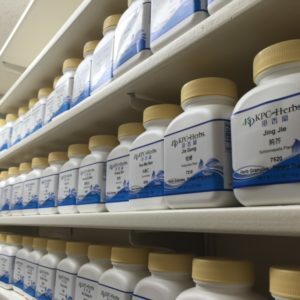 We have a full Chinese herbal pharmacy, with both factory made formulas in pill or tincture form, as well as granular herbs which can be customized by our onsite professional herbalist. Being able to create custom herbal formulas enables us to target and treat a larger variety of ailments specific to each patient. Some of the symptoms we are able to treat include conditions such as: cold/flu, cough, asthma, sinus congestion, allergies infertility, frequent miscarriage, menstrual problems, headaches, digestive problems, constipation, diarrhea, irritability, depression, ADHD, anxiety, insomnia, muscle tension, pain, improved healing, fibromyalgia, and MS.
We provide acupuncture, herbs, and reiki services to Colorado Springs, Fort Carson, Schriever, Peterson, Fountain, Security, and surrounding areas. Our goal is to help our customers return to health and thrive; in a space that is warm, healing, welcoming, comfortable, and family friendly. The hummingbird, symbolizes: joy, adaptability, courage, resiliency, lightness of being, renewal, and healing. The color light blue represents: loyalty, trust, safety, peace, serenity, understanding, strength, communication, and devotion to family. The hummingbird carrying her crossed acupuncture needles symbolizes: health and prosperity to those in need, quickly and accurately.